Rolling Storm LLC is a media, mobile, and technology solutions company based in the Washington DC area. Rolling Storm provides technology consulting, solutions design, and product development for media systems and other complex system applications. 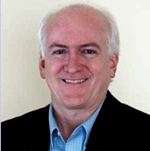 Rolling Storm was founded by Scott Norcross, a technology leader with extensive experience designing, developing, and deploying complex solutions. Specific application areas include media systems (for video/television production, media asset management, online video distribution, etc. ), mobile application development/strategy, and satellite command/control & remote sensing/image processing. Since launching Rolling Storm, Scott has provided "solutions design" support and led the development of numerous media projects for media and video companies. Activities/projects have included development of Video On Demand (VOD) Over The Top (OTT) applications on Roku, Android/iOS, Amazon Fire TV, ChromeCast, and commerce reporting engines to support subscription based business models. VOD/OTT integrations have included working with thePlatform/MPX (front end work using thePlatform PDK and ADKs) and backend applications that exploit thePlatform's data service APIs. Scott also developed MetroMinder DC, a mobile app allowing Washington DC Metro Rail riders to track/monitor trips in real-time and view performance "heatmaps" and enhanced train prediction data to better manage daily Metro commutes. 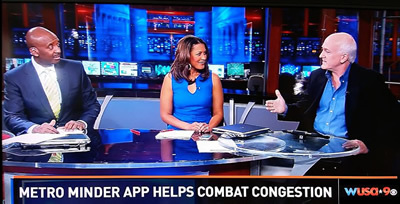 Scott has been interviewed several times by local DC news anchors/reporters - talking about mobile solutions for transportation and Rolling Storm's MetroMinder DC app. MetroMinder DC is available on Apple and Android app stores. Prior to founding Rolling Storm, Scott was VP of Media Systems at National Geographic, where he helped revolutionize National Geographic's media systems to enable file based processing, implement extensive workflow automation, and optimize video production/delivery for web, mobile, and "OTT/VOD" outlets. Scott led a team of engineers to modernize National Geographic's video web properties - achieving results that were on-time, on-budget, and far exceeded expectations. Scott also worked with the National Geographic Kid's group to launch "Video on Demand" and "Over The Top" (VOD/OTT) initiatives for NG Kids on Roku and Samsung SmartTV and the National Geographic Magazine digital products team to implement video streaming for the Digital/Mobile Version of the NG Magazine on iOS and Android platforms. 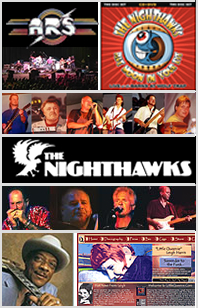 Before joining National Geographic, Scott ran a video and technology/consulting/production firm where he filmed, edited, and produced live concert videos - working with multiple music industry figures, including the legendary classic rock group The Atlanta Rhythm Section ("Spooky", "So Into You", "Imaginary Lover", "I'm Not Gonna Let it Bother Me Tonight", and others), The Nighthawks (world reknown blues group referred to as the "best blues bar band in the world"), Hubert Sumlin (Howlin' Wolf's lead guitarist, named 43rd on Rolling Stone's Best 100 Guitarists, multiple Grammy nominee, and Keith Richard's favorite blues guitarist), Leigh "L’il Queenie" Harris (The Queen of New Orleans - 'My Darlin' New Orleans'), The Fabulous Hubcaps, and others. After receiving a degree in Computer Science from the University of Maryland - College Park, Scott worked at IBM's Federal Systems Division, where he designed and built custom satellite command and control systems. After ten years at IBM, Scott left to join several IBM co-workers and launch a high tech startup company, called Storm Control Systems. Starting with only ten employees and unknown in the industry, Storm grew to more than 200 employees, $27M+ annual revenue, with offices in Virginia, Colorado, California, the UK, and Australia and was recognized as a worldwide leader in the satellite industry. Storm Control Systems was acquired by L-3 Communications (NYSE: LLL) to become L-3 Storm Control Systems part of the L-3 Telemetry Group. Scott has presented and co-authored papers at the National Association of Broadcaster’s (NAB), the Ground Systems Architecture Workshop (GSAW), and had articles published in a variety of technical/industry journals. Stavros is an experienced technology executive with expertise in New Media, Broadcast, Film, Cable, Telecommunications, Satellite Communications, IT & e-commerce. Stavros currently serves as the CIO for The Switch, the leading provider of customer-controlled video switching services throughout major media markets of the United States and in key international locations. Prior to joining The Switch, Stavros served as CTO for National Geographic Society in Washington D.C, Senior Vice President, Technology, for Ascent Media, and in senior executive positions with Net2000, MediaVision LLC, and CBS Television. He has presented and co-authored papers at the National Association of Broadcaster’s, European Broadcasting Union and several Digital Media and Global Satellite organizations. He was an advisory board member for Optim Systems, a network device software management start-up company, until it's acquisition in January 2002. Bob has more than thirty years experience in every facet of the Media Industry and has worked with virtually every major media organization – from Disney/ABC to National Geographic. Bob's experience encompasses Film, Cable, Satellite, broadcast networks and Internet distribution. Bob has been a member of multiple Emmy award winning teams and holds patents (pending) with Disney and ABC television for cloud based business systems for Media. Bob sits on the board of Directors for Cont3nt.com and Mediareputations.com, is a principle at Tak Media, and currently serves as an Enterprise Architect for Media with ATOS. Chris is a serial entrepreneur and has founded and served in executive management roles for multiple high technology companies with responsibility for engineering, finance, marketing and business development. Chris excels at strategic business planning and the creation of industry partnerships to ensure synergistic business opportunities that can achieve long-term growth and diversification. Chris started his technology career at IBM Federal Systems in Gaithersburg, Maryland, where he held technical, financial management, executive positions in the satellite command, control and communications industry. In 1991, Chris left IBM to form a high tech start-up company with 10 former IBM and Lockheed Martin aerospace engineers and managers, serving as the president/CEO. Storm Control Systems created commercial products and fully integrated systems to automate satellite command and control for multiple satellite manufacturers. The company evolved into worldwide leader in the satellite industry, that defined and advanced the state of the art, with $27M+ annual revenues and over 200 employees in the United States and Europe. Storm was ultimately acquired by L-3 Communications (NYSE:LLL) in 1998. 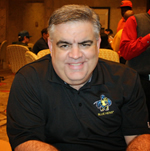 Chris currently serves as CEO of Play To Win, LLC and Managing Director of the Evergreen Sports Complex, LLC.